we create become wearable works of art. Calicampo fue creada con el único propósito de crear productos especiales con el proceso más seguro y sostenible, que excedan en belleza y calidad a cualquier otro producto del Mercado. Haciendo esto, la empresa deberá proveer mejores oportunidades para nuestros empleados y la comunidad, generando ganancias tanto para la empresa como para nuestros clientes y proveedores, poniendo especial cuidado de no dañar el medio ambiente y mejorar la calidad de vida alrededor, en base a los Sistemas de Gestión. Calicampo was created for the sole purpose of developing special products with safe and sustainable processes, which exceed the beauty and quality of any other product on the market. In doing this, Calicampo’s system of management will provide better opportunities for our employees and the community, generate profits for the company, our customers, and suppliers, all while respecting the environment and improving the quality of life around. We are professionals, artisans, fiber enthusiasts, mothers, fathers, knitters, and community members who take great pride in our work. Since 2009 we have achieved the Peruvian Trade Association’s highest award for "5-S Continuous Improvement". As we are located in a desert climate, we are very careful about how much water we use and try to minimize our impact on the environment, recycle everything possible, use very little electricity, and take full advantage of the abundant supply of solar power. Most of our machinery is bicycle powered. 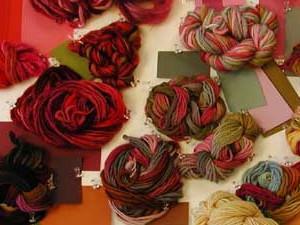 Calicampo specializes in Hand Dyeing yarns and garments using only organic and natural dyes extracted from vegetable and mineral sources. We hand-paint natural fibers and offer custom colorway development using the safest possible dyes and sustainable processes to exceed the beauty and quality of any other fiber on the market. Calicampo is a Fair Trade Certified company. We worked diligently for three years participating in a government sponsored international program and achieved certification and recognition for outstanding accomplishments. Our certification ensures fair trade wages, continuing education opportunities, medical care, and a safe, beautiful work environment for all employees. We are proud of our Fair Trade Certification, and our local and international collaborations, offering fully integrated services such as local fiber sourcing, unique yarn creations, and garment hand painting production. 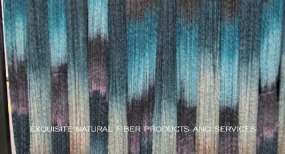 We offer Hand Dye yarns and garments using only organic and natural dyes extracted from vegetable and mineral sources and produce yarns for companies in USA, Canada, Europe, Australia & New Zealand. We have inherited the legacy of 3 generations of Alpaca expertise in Peru. Our grandfather, Alberto Palaco was one of the pioneers of Alpaca Fiber exports in Peru. 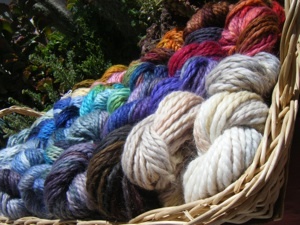 Calicampo dye masters offer custom colorway design for clients. 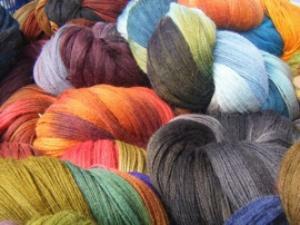 We assist with color development, fiber selection, and fiber sourcing. 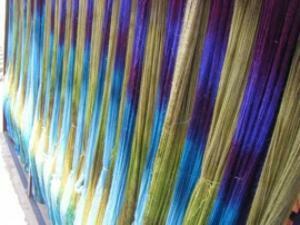 We offer a variety of dyeing techniques: hand painting, tone on tone, self-striping, kettle dyeing, custom shading, plus many others. Calicampo dye artists use a combination of the safest, most beautiful organic natural and synthetic dyes possible to fit the specific fiber choice. 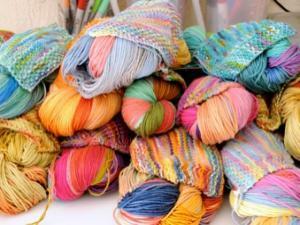 The chemicals we use in our processes contain no heavy metals or toxins and are treated to be environmentally safe. 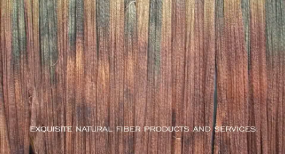 Combining the best of nature and the best of science at Calicampo we create natural fiber dyed products that are unsurpassed in the marketplace. Our dyes are made with the finest combinations of organic synthetic colorants and natural occurring pigments found in local plants, insects, and minerals. 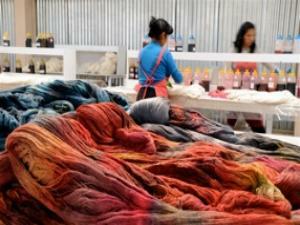 With our natural occurring dyes we use only those mordents (dye fixers) allowed by the Global Organic Textile Standards. Our hand-paint and production techniques are unique to the industry and no other dye house can apply as many colors to a single hank of yarn, and subtly blend them for a natural transition from one color to the next. Our proprietary application techniques and quality control measures go beyond industrial standards and assure our clients that their product will be reproduced correctly, order after order. 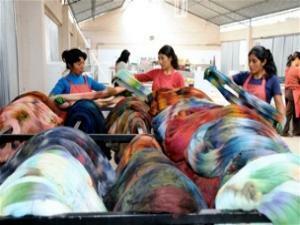 Whether we are dyeing one kilo of fiber or 10,000 kilos, our fibers are dyed with accuracy and consistency of color. 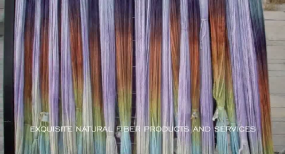 We carefully test for wash fastness (dyes stay in fiber during washing) and light fastness (color does not significantly fade under normal light conditions). Our organic synthetic dyes provide the best wash fastness and light fastness but some of the darker colors that have large dye molecules such as turquoise, dark blues, dark red, and black will always release a little dye when washed. Calicampo S.A.C studios are in Peru on the Andean plateau in the town of Arequipa along the banks of the chili River and in the foothills of the Misti Volcano. 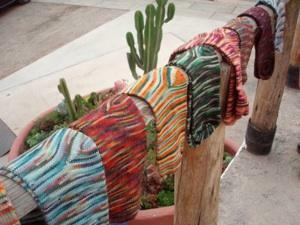 The area is known for its alpaca and wool fiber production, agriculture and dry, temperate climate. Cerro Colorado - Arequipa, Peru.